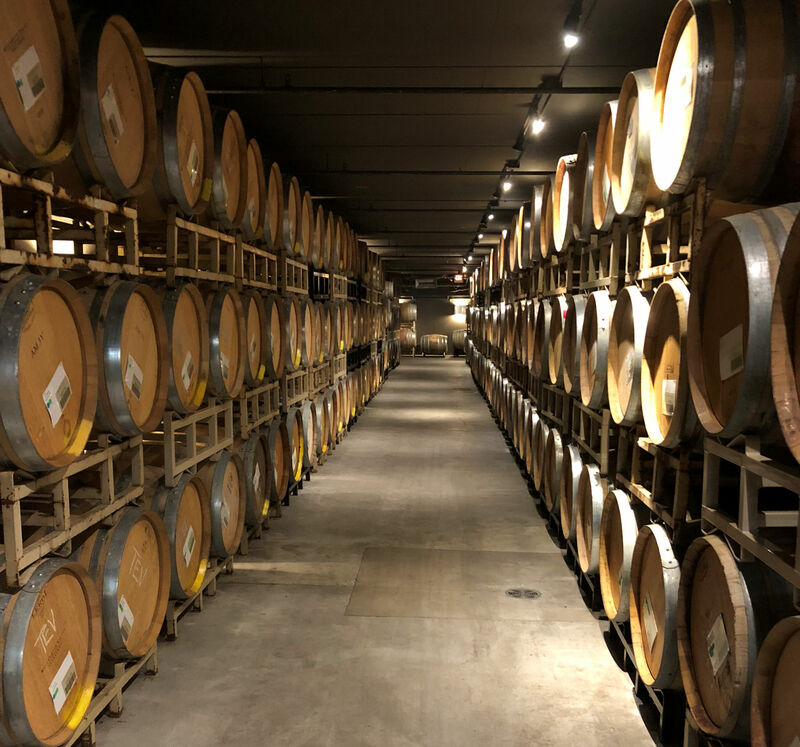 You are currently browsing the tag archive for the ‘winery’ tag. Apolloni Vineyards. First stop on our quick tour. 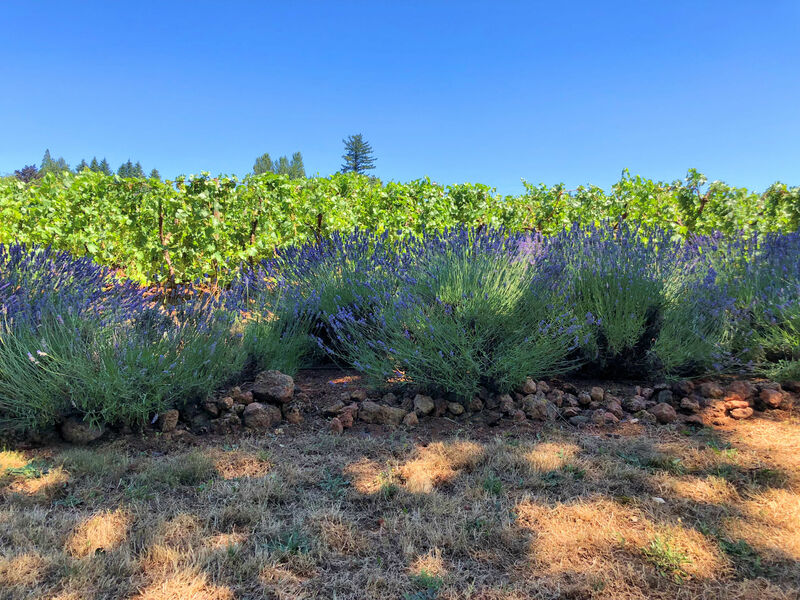 Did you know Oregon makes great wines? Pinos, in particular. 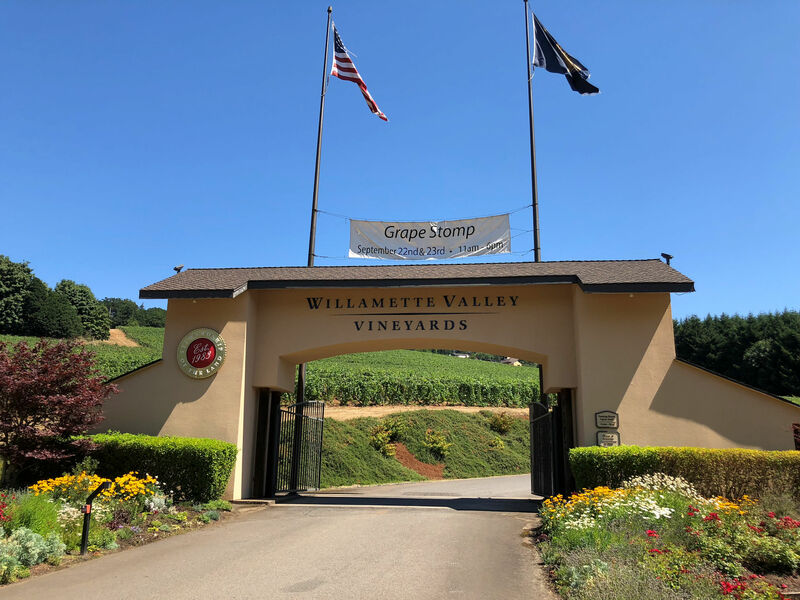 I moved here in 2007 and Friday was my very first visit to an Oregon winery to do some tasting. A co-worker got a couple of us together for a quick tour on the federal holiday. Yes, for Veterans Day, we went out drinking. 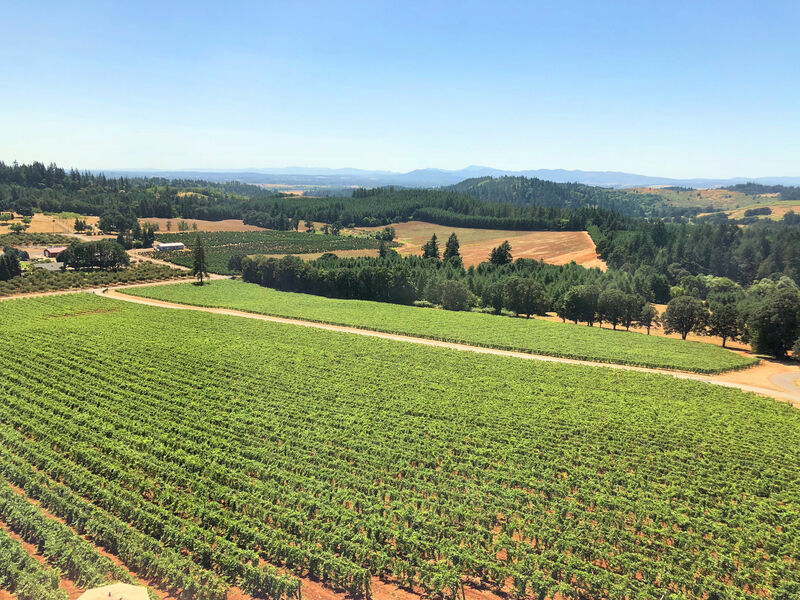 During the day I picked up a winery tour map for Washington County, west of Portland (so you must mentally add the other nearby wine regions to the following figures). 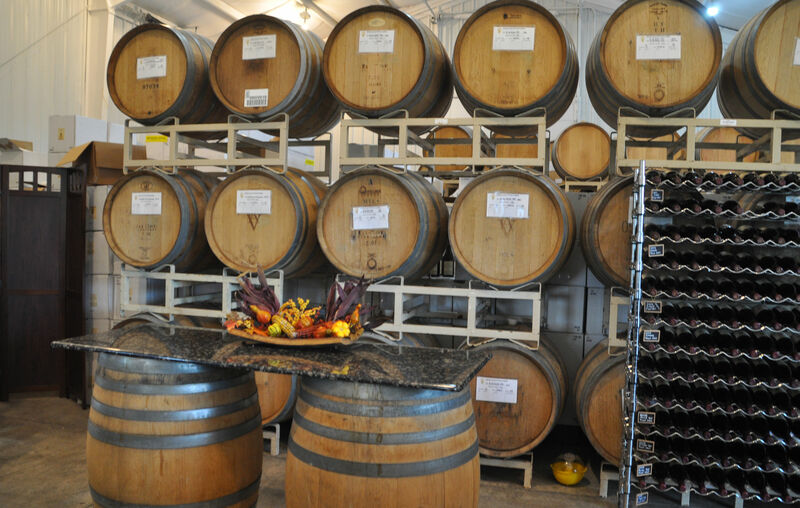 Along the mapped route are 31 highlighted wineries within a 30 minute drive of the city. Twelve breweries are also noted on the map, a relevant fact since Portland is famous for it’s beer. Portland sits in Multnomah County, which boasts 55 breweries (and probably more by the time I finish this post). 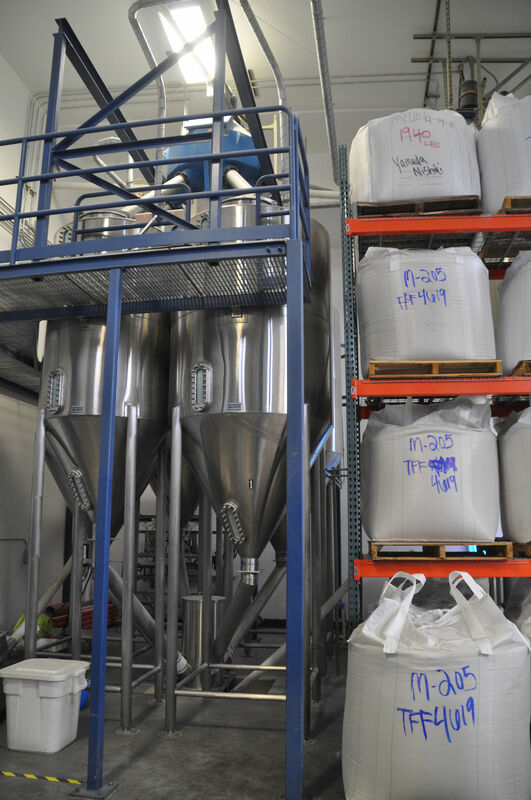 There is one Oregon saké brewery, and you’ll hear about that shortly. Big house on a hill. The vines have lost their leaves this late in the season. 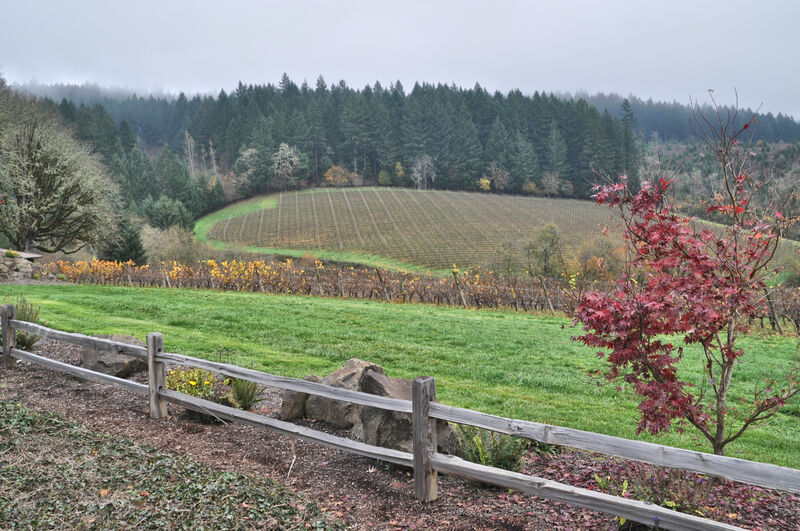 Morning fog cloaked the low hills in the Forest Grove area, and we enjoyed mysterious misty scenes on the way to Apolloni Vineyards, 30 miles out Highway 26 from downtown Portland. 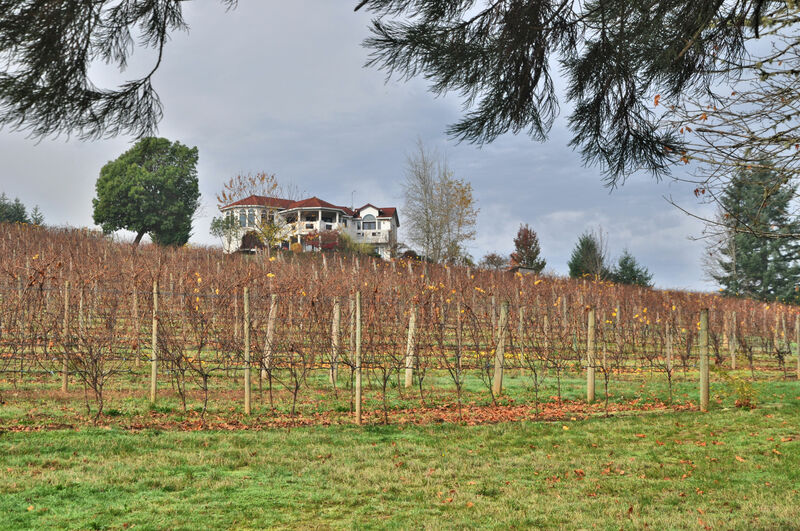 We were impressed at first with a huge, gorgeous home on a hill of vines. I assume it belongs to the Apolloni family, who have named their vineyards after their children. 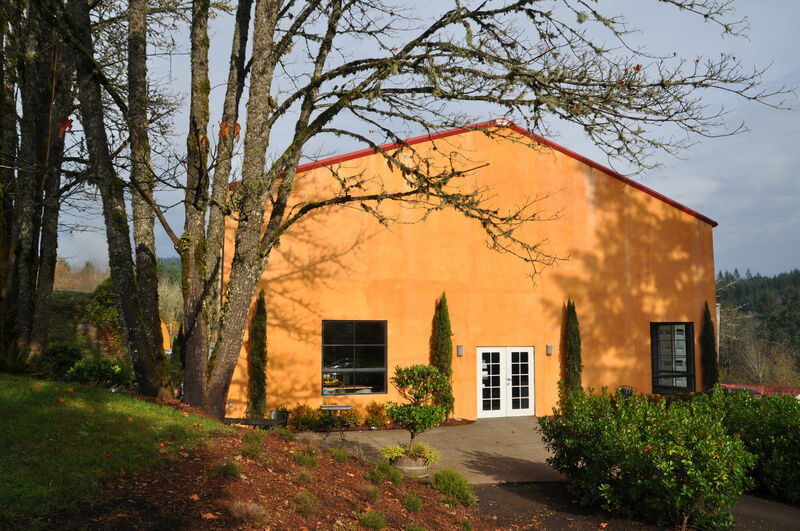 The tasting room is nearer to the base of the hill, and is also used as the winemaking area for their Italian-style wines, showcasing the famous Oregon Pinot Noir. 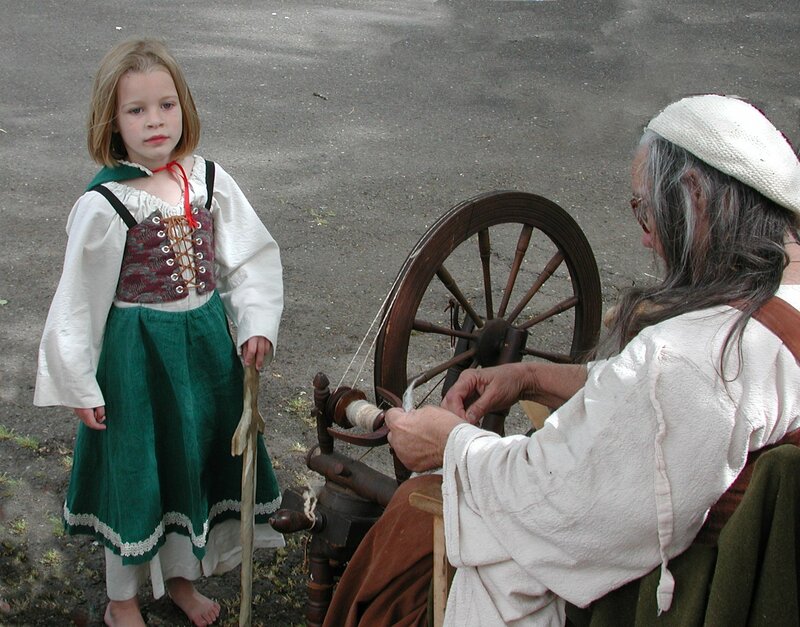 In the early 2000s I lived in northern California and was introduced to wine tasting when the experience was free. 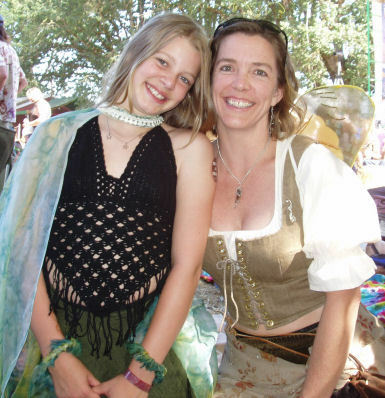 Possibly tastes were charged in Napa back then, but I toured the most in Mendocino County. A taster could do so properly, by swishing the wine, spitting the rest out, and dumping the remaining contents of one’s glass into the bucket. The vineyards were spread quite a distance, and to drive all the way to Pacific Star (my favourite in those days), I needed to be sober. Things are different now and you pay for your tastes. Luckily, in humble Forest Grove, Oregon, the charge was acceptable. Still, at $10 per flight, I was not going to waste a drop. There was no spitting and no pouring out. 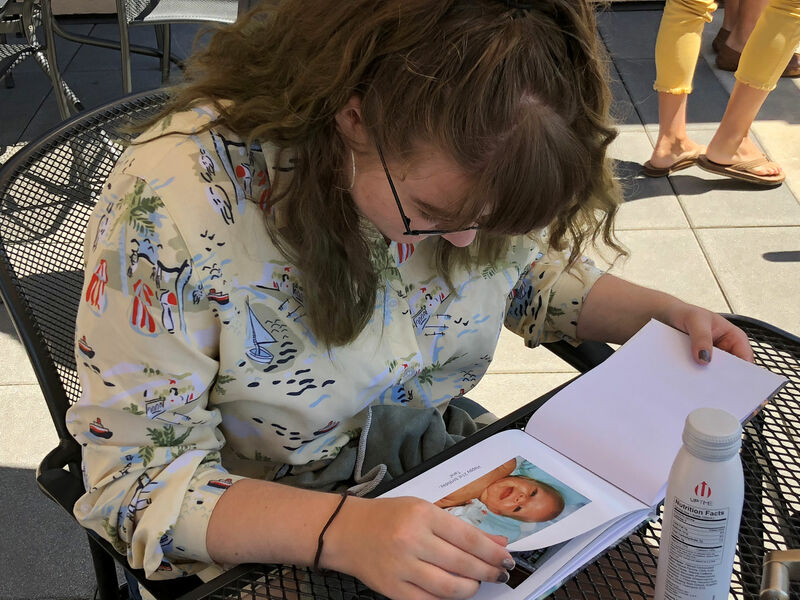 I got happier and more chatty as the day went on, as you can guess. Thank goodness for my friend and co-worker who had not only planned the whole day but also volunteered to be designated driver. 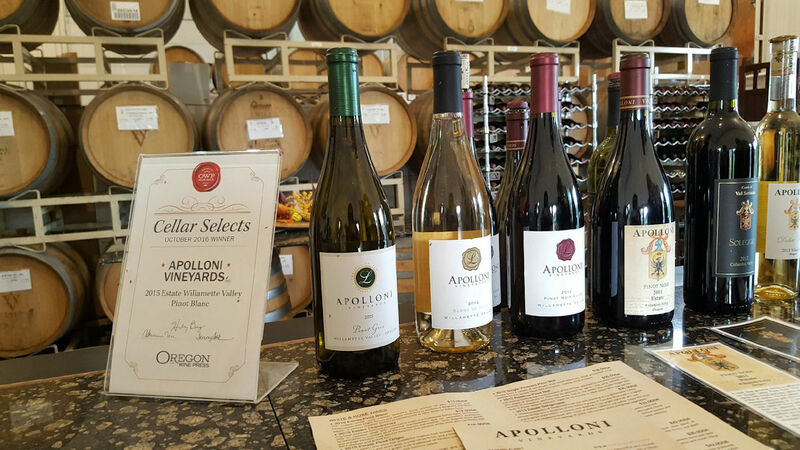 Winemaking, aging, and tasting come together in the Apolloni winery. 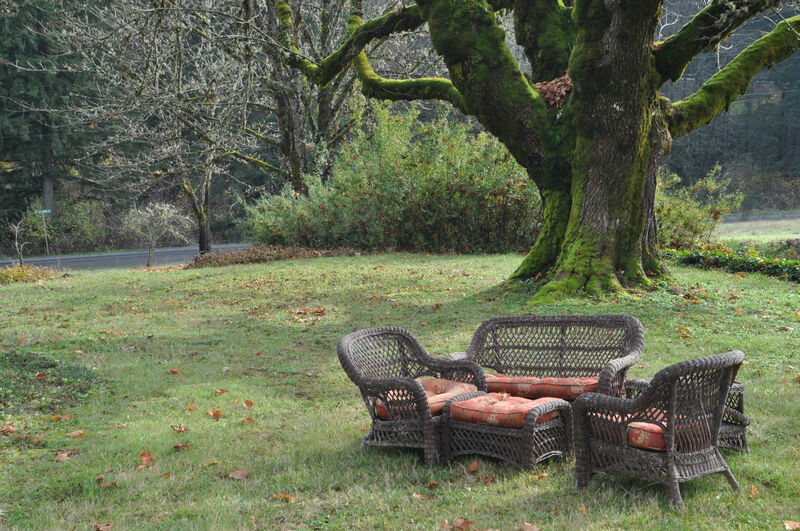 Inviting wicker furniture beneath a mostly leafless maple. Autumn-yellow leaves on some of the Apolloni vines, and candy-pink berries in front. 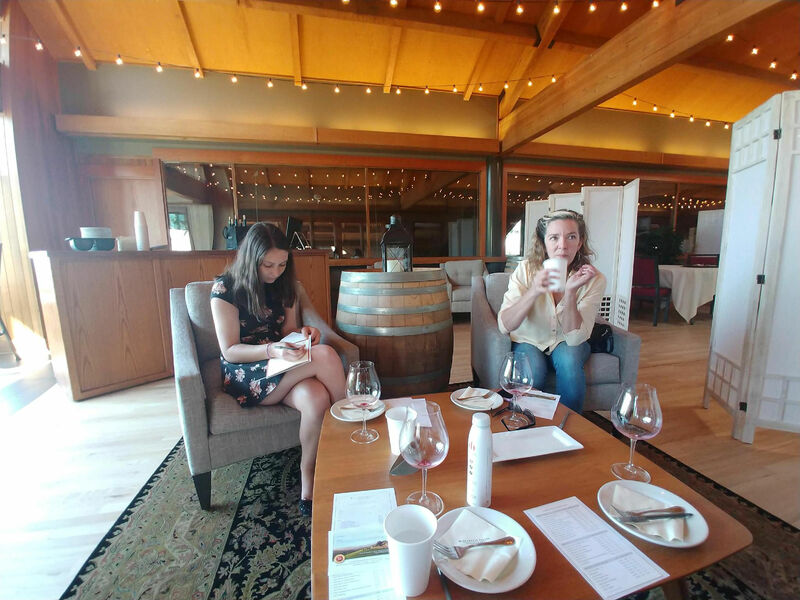 We were offered a nice variety of wines, beginning with their Pinot Gris, including a recently popular 2014 Pinot Noir Cuvée, and finishing with the dessert wine 2013 Viognier Dolce Vino. 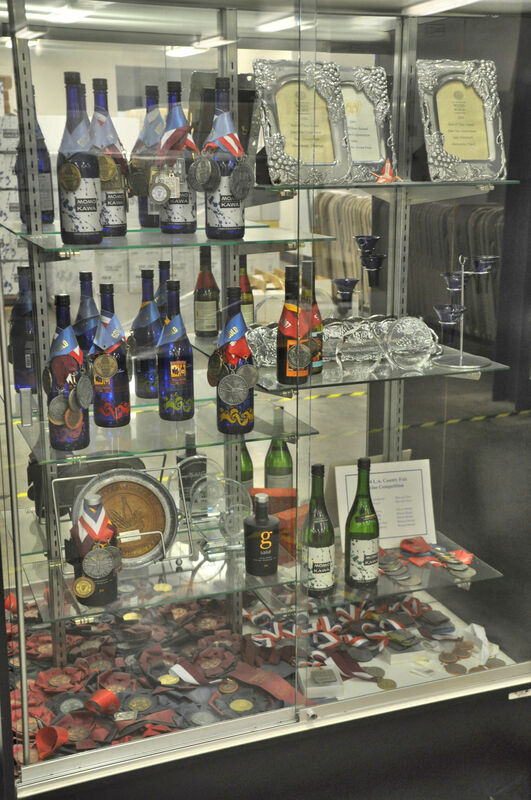 All our questions were answered and we happily browsed the gifts for sale and admired the oak casks as we tasted. Outside once more, I had to take photos of the scenes around us. Our next stop was spontaneous, based on the recommendation of the wine stewardess. In minutes we arrived on another hill at Shafer Vineyard Cellars. Curiously, the sign also said Miki’s Christmas Shop, and at first I ignored it. The views here were outstanding, and I was unable to walk into the building without first climbing down a slope and snapping a few photos. 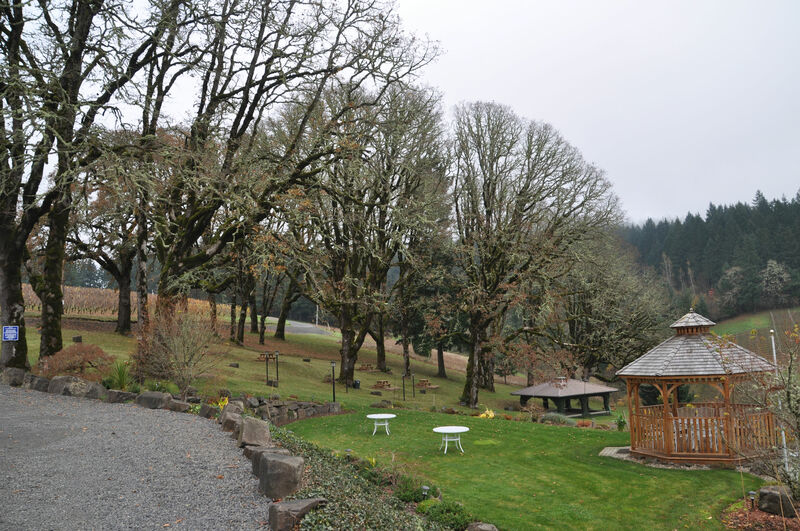 The view from the parking lot at Shafer Vineyard Cellars. I imagine this area hosts more people in warmer months. Finally we made our way inside, where the steward was playing Leonard Cohen, in tribute to the unparalleled Canadian poet/singer who left us with so much melancholy. He was eager to tell us about the German-style wines at Shafer. These vines were planted in 1973 and have recently passed on to new owners. I assume this means there will be a shift in character out at Shafer, so I’ll stop by again in a couple years. 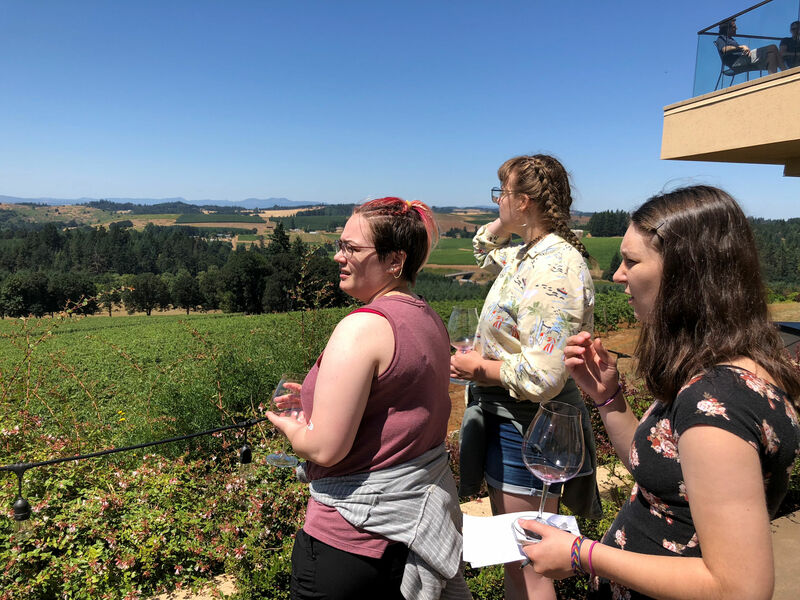 Our flight included mostly whites, and leaned toward sweet wines. 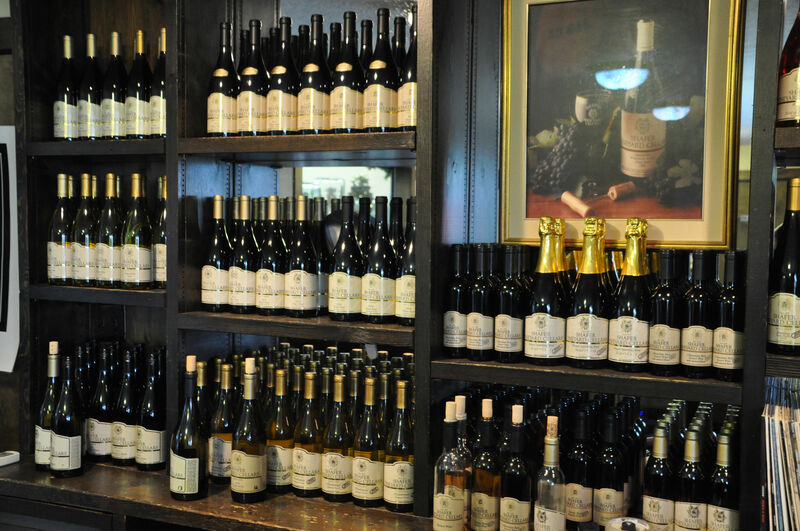 German-style wines at Shafer Vineyard Cellars. 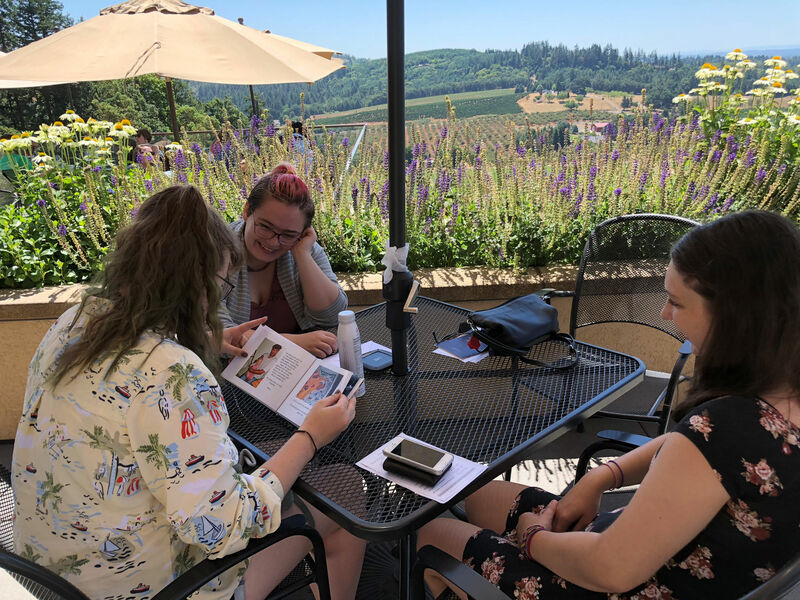 We asked so many questions about the difference between the Gewürztraminer and the Müller-Thurgau, he gave up and said he would include his favourite Shafer wine in our flight, though that was not one of the wines that he had planned to offer. By the time he poured it, other tasters had walked in and we all fell in love with the 2014 Müller-Thurgau, and purchased several bottles. 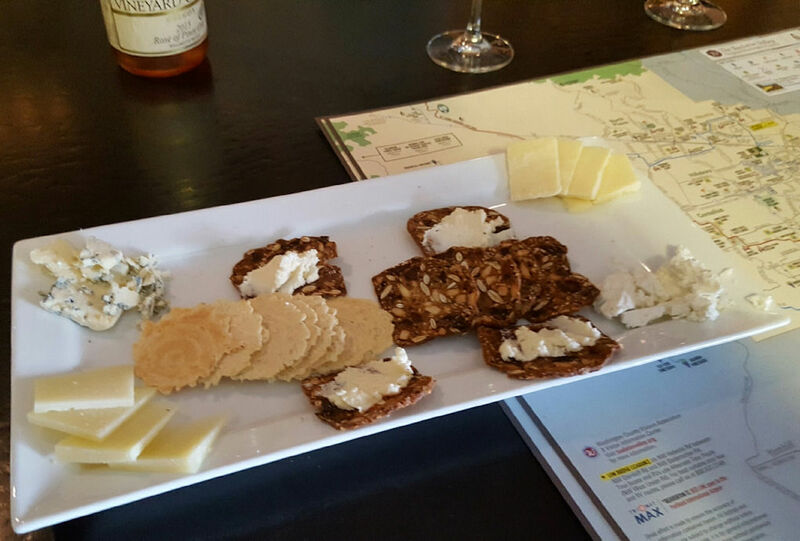 A bit peckish, our designated driver spotted a menu on the wall and couldn’t resist the cheese plate. I didn’t think I was hungry, but my friends insisted I join in and the cheese was irresistible. While we munched and sipped, another group came in and said hello, then went directly to a door in the back and disappeared. 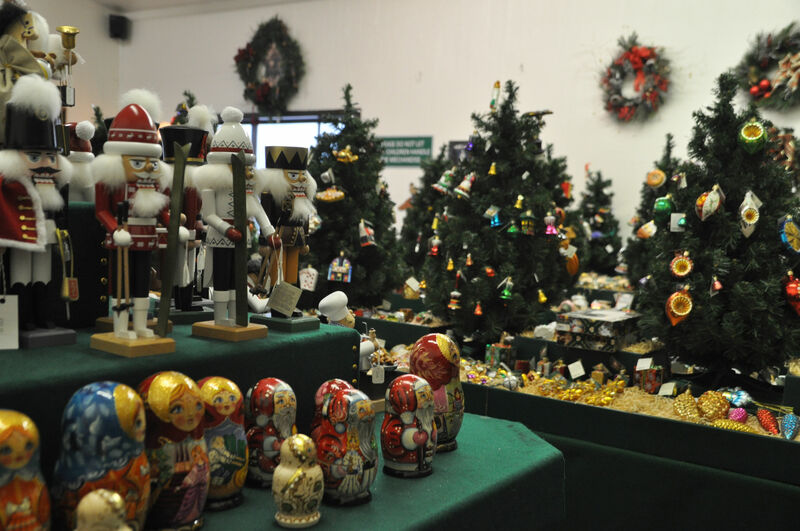 “What’s back there?” we asked the steward, who told us about the old style German Christmas shop that is apparently open year-round. Before we left, we had to take a look. The bonus after all that shopping is that if you spend $25 or more, your flight is free. 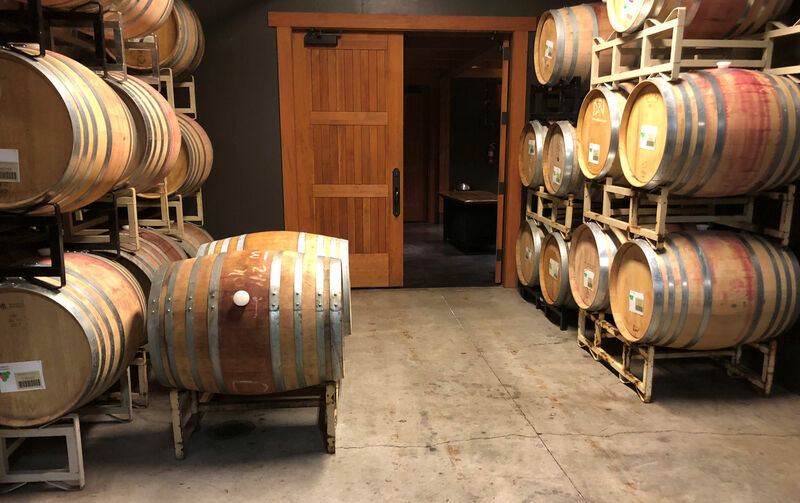 Quite unexpected, this local favourite shopping spot was tucked in the back of the Shafer tasting room. 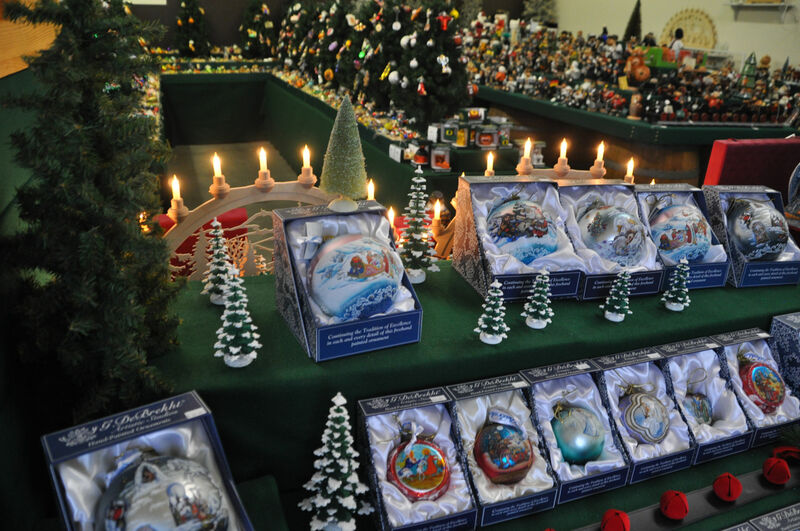 Every traditional German Christmas decoration is here. 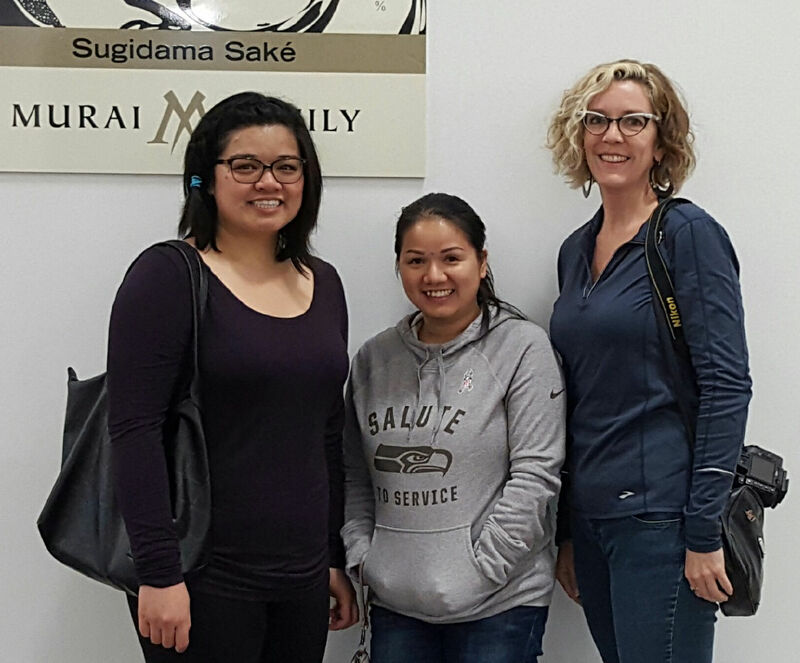 Our driver explained that we could make it to the 1:00 pm saké brewery tour if we headed there next, and we voted to switch to saké! 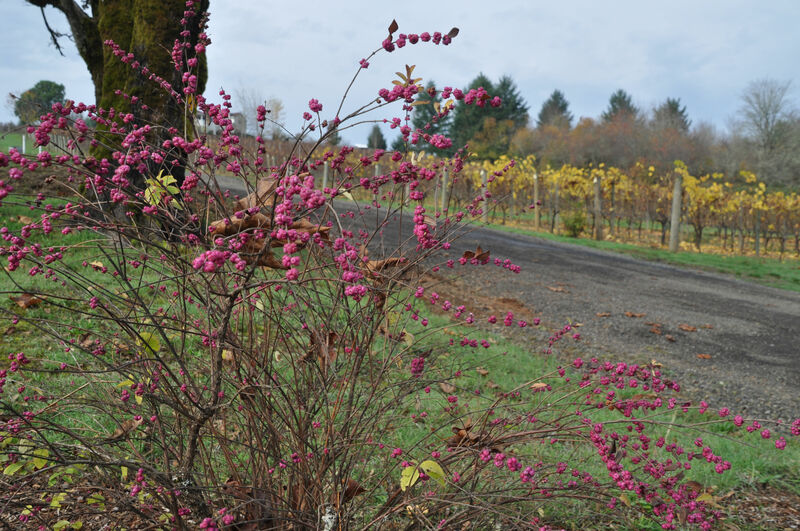 SakéOne is in Forest Grove, Oregon and began in 1992 as a saké import company. 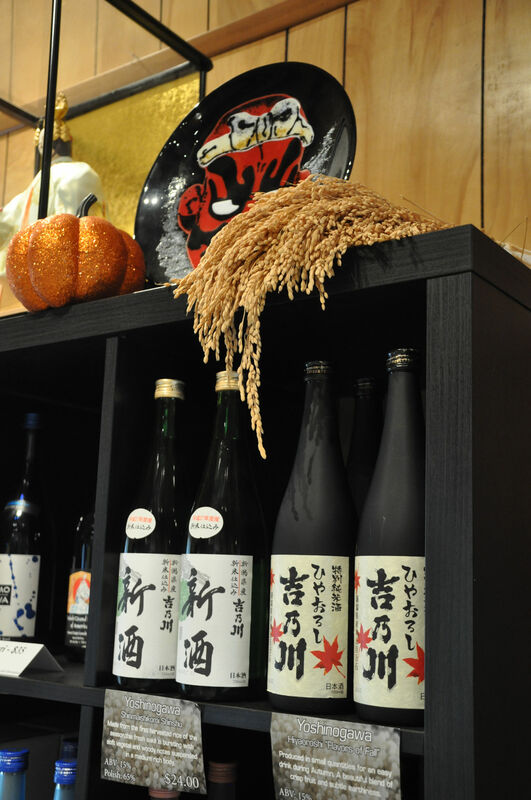 By 1997 local saké was brewed and bottled, taking advantage of the right kind of Coast Range natural water. It is the home of the award-winning Junmai Ginjo Genshu saké Joy. 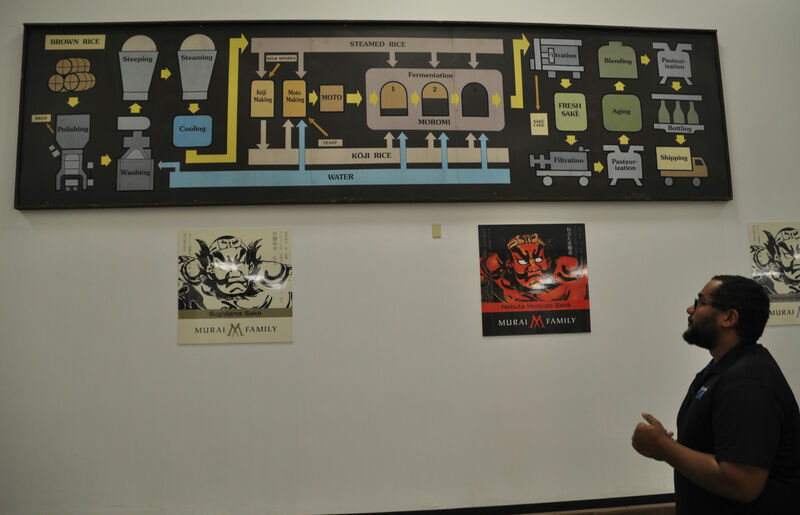 The company has won more awards than the other five American saké breweries, placing it at the crest of the first wave of saké production which surely must be followed by more, if the explosion of wine-making and brewing in the region is any indication. Inside the facility, or kura, we were allowed to get a close look at how this traditional Japanese drink is made here in Oregon. 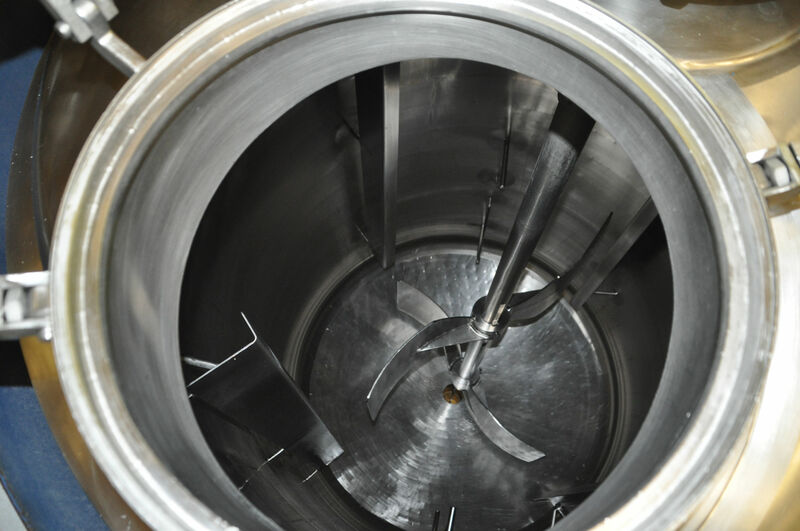 Original ceramic tanks still in use are being replaced with stainless steel when they become unusable due to cracks or stain. 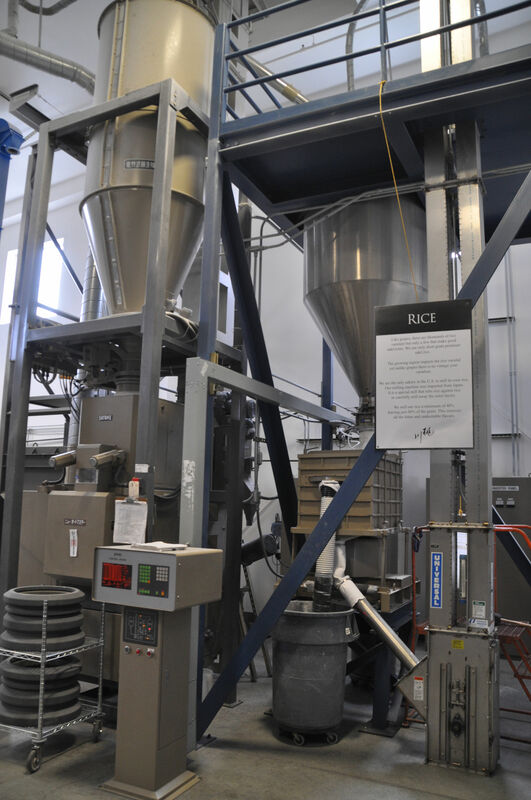 The first stage of the process is in a warehouse room with two-ton bags of rice that are husked and polished to remove the unwanted pieces. Rice is first husked and polished in this station. You can see the powder left from polishing. The polished rice is piped to this station, next to 2-ton bags of rice. “We’ve won a few awards,” Mack said with a sly smile. 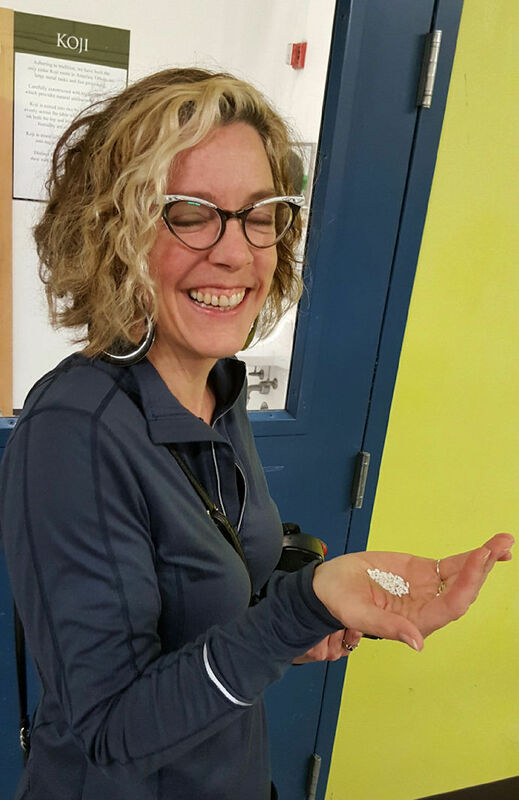 To maintain the integrity of their product, we all donned booties and entered the rooms where a mold is added to the rice to turn it into sugar. 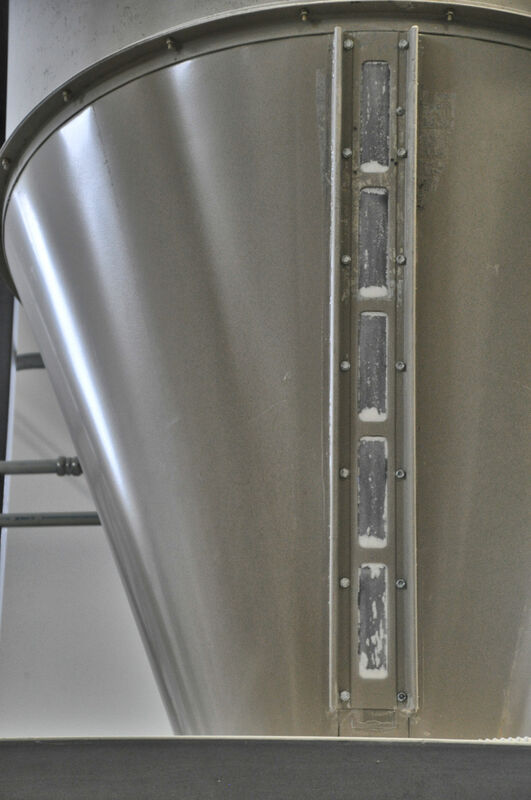 In each part of our tour was a subtle smell of brewing, but here we breathed in the aroma of fermentation, which was not subtle! 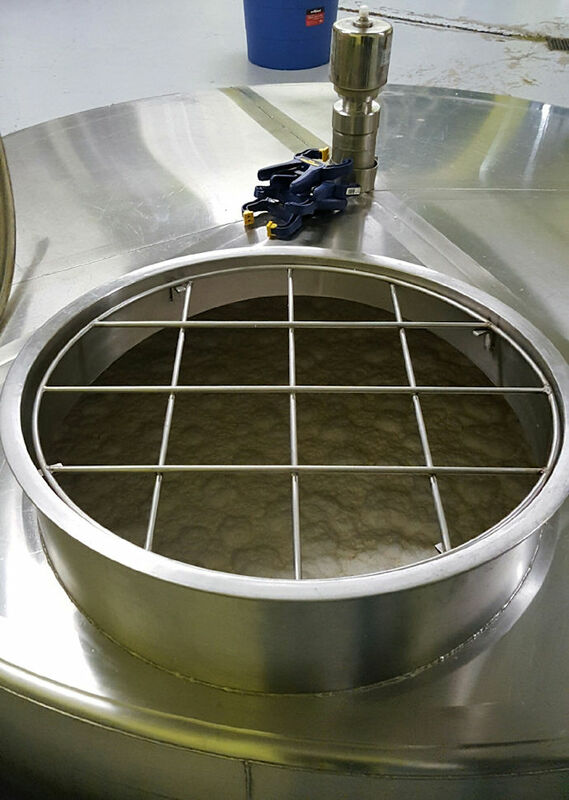 We looked deep inside the tanks with giant paddles for washing the rice, and in one tank we saw the starter brew with thick white and crumbly bubbles. 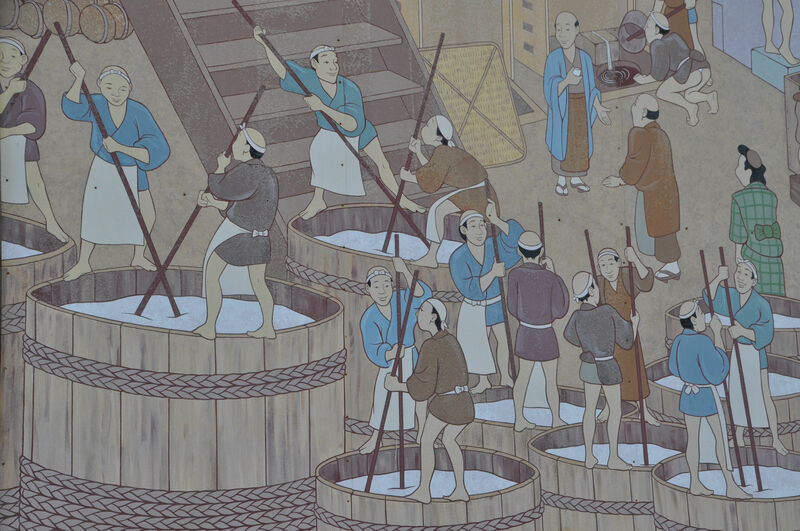 We remarked that brewing saké appears to be a complicated operation, and Mack confirmed this by noting that it takes about a year to make the full journey from a grain of rice to bottled drink. Mack explained the steps with the help of this panel. 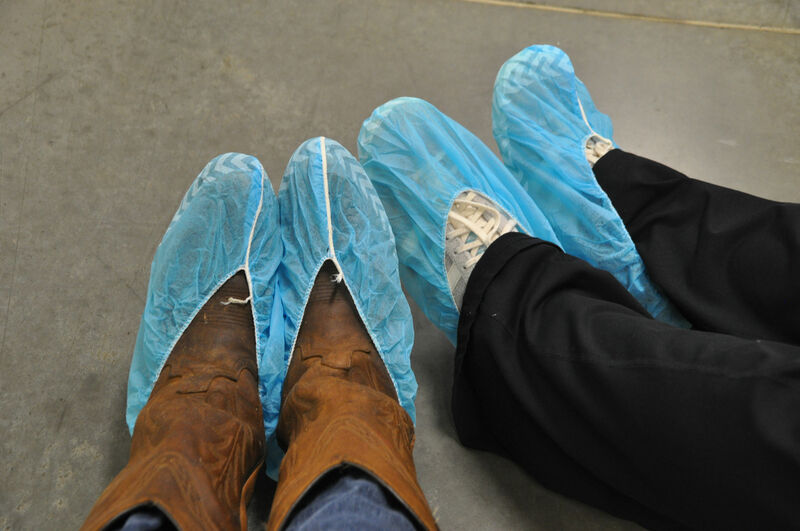 Our feet had to be covered to prevent unwanted contamination. 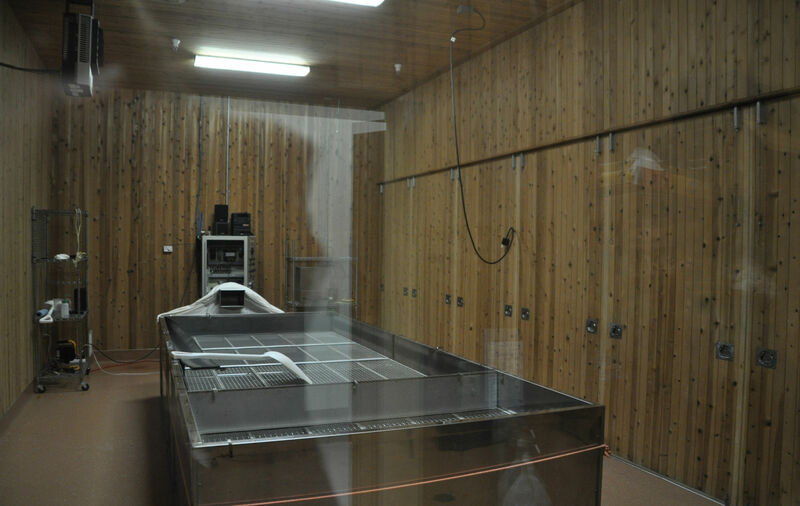 The cedar-lined koji room, where the koji mold grows on the rice. 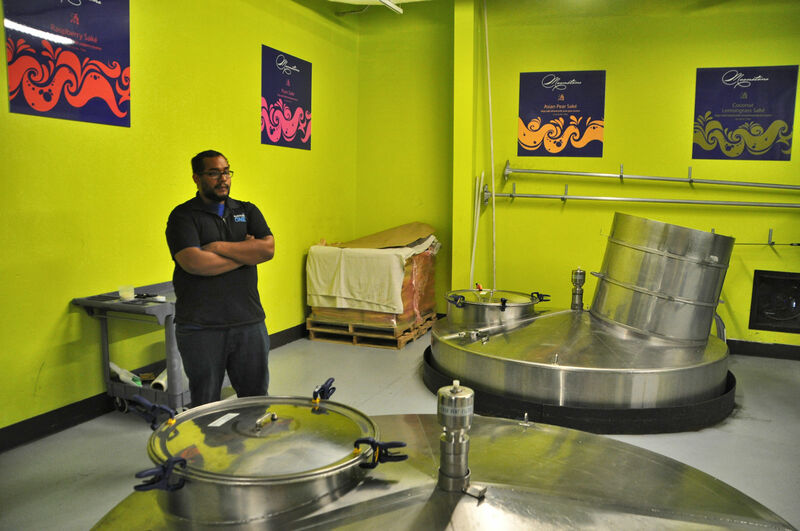 Inside the thickly sweet-smelling fermentation room. Imported saké for sale in the tasting room. 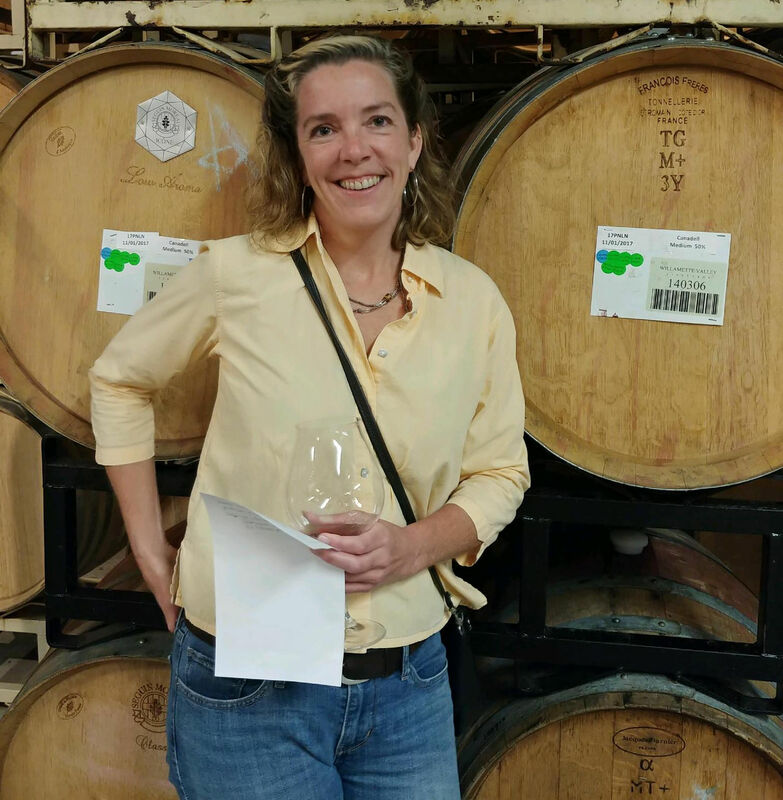 Back in the tasting room, our flights were only $3 (we chose a smaller flight) and our tasting questions were then answered by Lou, who tag-teamed into our service after Mack returned us to the tasting room. As well as the water-clear options, Lou proferred two types of milky sake, which they clarified is only less filtered, not “unfiltered” as some people call it. By then we were sated and it was time to go home. 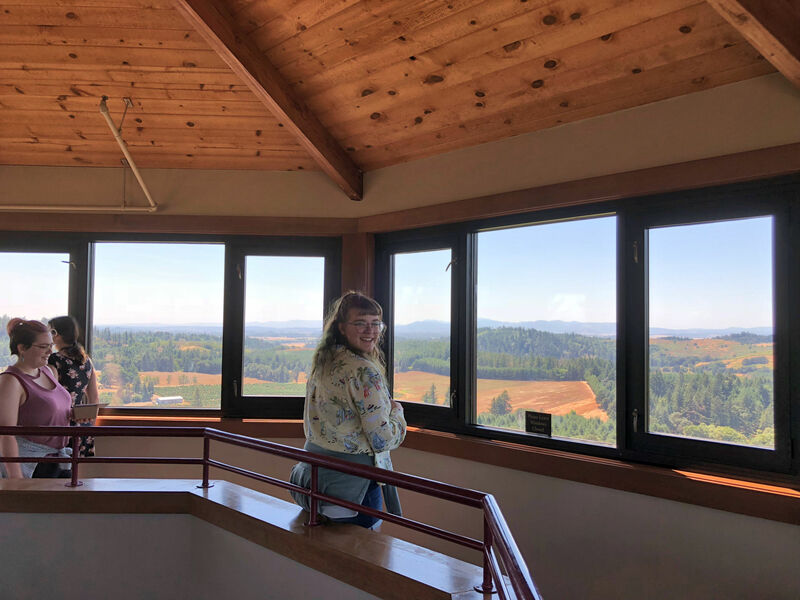 We purchased a few bottles of Oregon saké (I took home the Momokawa Silver) and made our way through the beautiful countryside with ideas of what we wanted to try the next time.